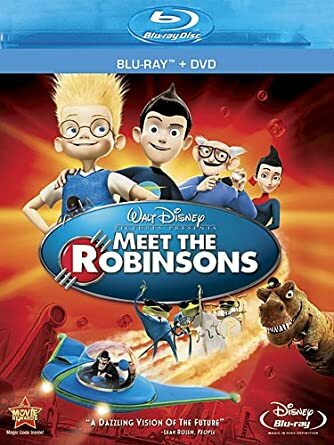 Disney’s Meet The Robinsons on Blu-ray + DVD Only $9.96! Who loves the Robinsons family? Right now you can get the Disney’s Meet The Robinsons on Blu-ray + DVD for only $9.96! Join a brilliant young inventor named Lewis who sets off on a time-traveling quest to save the future and find the family he never knew. With the help of the wonderfully wacky Robinson family, Lewis learns to keep moving forward and never stop believing in himself.